Soviet cinema had not one, but two up-and-coming Andreis in the 1960s—Tarkovsky, of course, and his film school comrade Konchalovsky. The two pals were constant collaborators up until the mid-60s, when Konchalovsky walked away from Tarkovsky after seeing a rough cut of The Passion According to Andrei (1966), baffled by what his friend had done to the script they wrote. This separation would prove artistically fruitful for both—Tarkovsky now had the room he needed to experiment and come into his own, and Konchalovsky had more time to focus on his own directing. Not long after their breakaway, however, Konchalovsky lost his chance to become an international art-house success like his counterpart, when Soviet authorities banned his sophomore feature The Story of Asya Klyachina, Who Loved But Never Married (1966), known in English as Asya’s Happiness. Meanwhile, Tarkovsky slightly recut his film, which had already become the stuff of legend both in and outside the USSR. 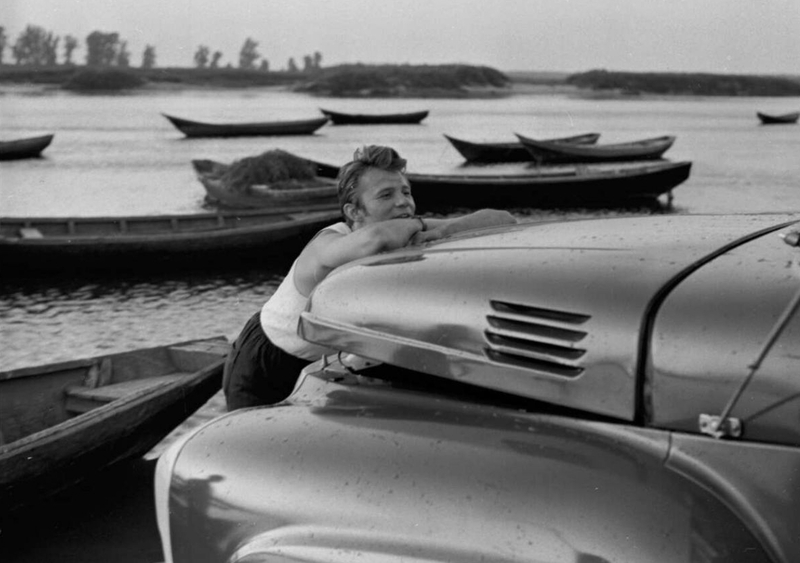 Konchalovsky’s film, although eventually released in 1987, still lives in obscurity, although it may have just as many lessons to teach us as Rublev did. Asya’s Happiness opens on a collective farm, nestled in the Eurasian steppe, far-off from the world. As the camera pans, the villagers go about their morning. A truck moves out across the plains, leaving a trail of dust. 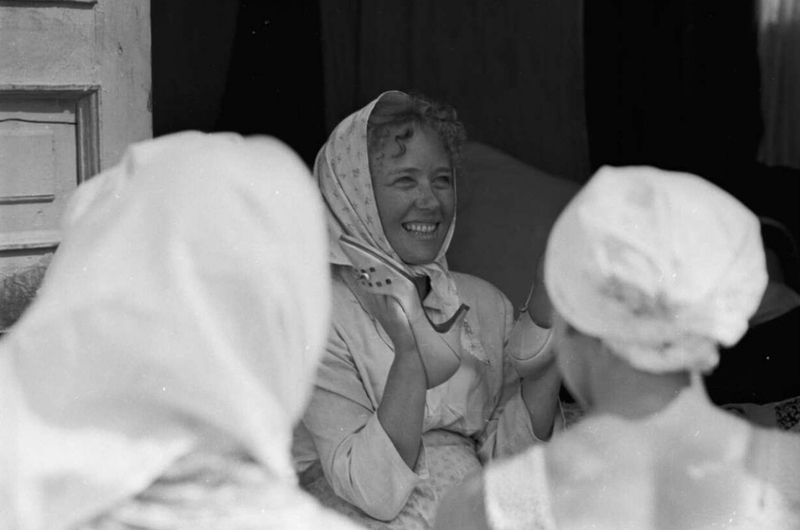 We see Asya Klyachina, the village cook, and a man, Chirkunov, returning to his village on holiday half-heartedly asks her to marry him, but she refuses. Asya’s is in love with Stepan, even though he is abusive towards her, and she is with his child. Branching from this love triangle we get to know the people around the farm, their lives, loves, and losses. There is a collective farm nearby of Romani, whom the villagers feel a slight bit of competition towards. On an evening drive with Stepan, Asya goes into labour and has to give birth on the roadside in the dirt. When Stepan asks to marry her, she refuses him too, deciding that she does not need either to her raise son—she has more faith in herself and her community than she does in the institution of marriage. The film ends with a celebration as the two collective farms come together, singing and dancing as their boys are about to go off into the army, a celebration of life even in the face of hardship. On one hand, this simple plot acts as an update to Aleksandr Dovzhenko’s Earth (1930), the story of a Ukrainian community trying to collectivize under the Stalin’s First Five-Year Plan. Here the collectivization is long-since passed, only one member of Asya’s village could have remembered it, an old man who was also locked up “for nothing” during the last eight years of Stalin’s reign. While Earth opens with the death of the older generation, Asya’s Happiness saves the old man’s funeral until near the end. And it is not the death of the young revolutionary that rallies the people towards the future, instead a birth and a celebration of their young. Here it is not an elegy for what has been taken from them, and a promise of perseverance, but a hope for the future despite others’ neglect for them. It is up to the people to take control of their lives, not in a revolutionary sense, but one of self-actualization. 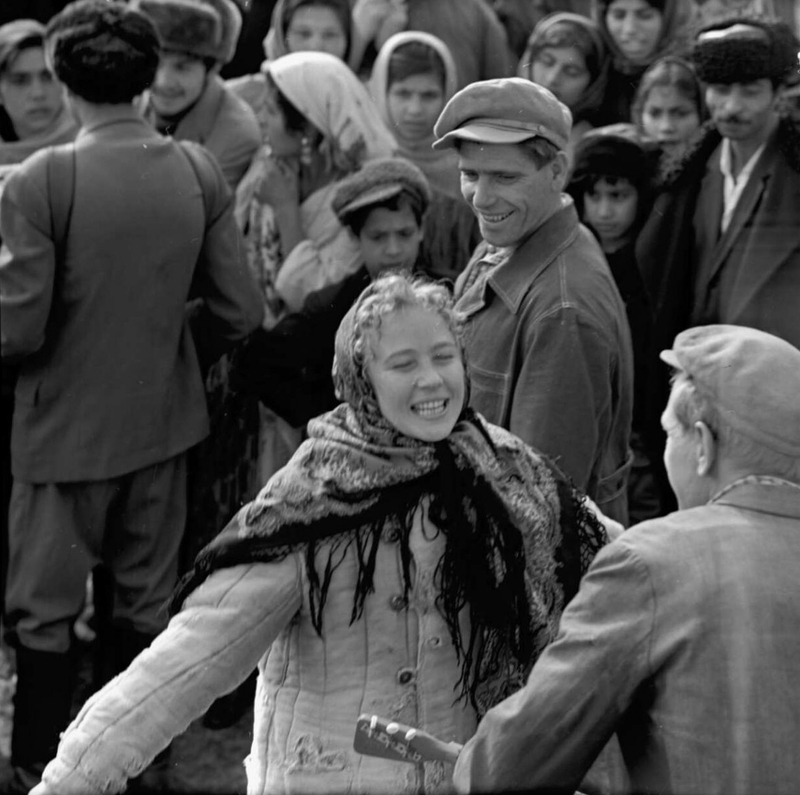 On the other hand, Asya’s Happiness takes a more modern approach to its storytelling, ridding the straightforward elements of socialist realism in favour of what would become known as documentarism, an usually acceptable and loosely defined form of poetic storytelling more similar to neorealism. Konchalovsky is less interested in just conveying narrative, as he is in showing what life is really like for the Russian peasants, tying it through a sort of modern folk tale about Asya—the title is in reference to this, as Russian folk tales tend to have long-winded names. While optimistic for the future of Russia’s workers, the film was greatly disliked by the censors. Konchalovsky claimed that it was his unpretentious portrayal of real people that got his film banned, which superficially is right, although leaves a lot for unpacking. It’s what that unpretentious portrayal really looks like in 1966 that got him in trouble, when it turns out they don’t look anything like the “real” people portrayed by the state’s propaganda (Rublev would be similarly criticized for a “negative” portrayal of the Russian people)—collective farmers weren’t always happy, beautiful youths but sometimes they were war veterans with scarred hands and missing fingers, or a happy-go-lucky hunchback kolkoz leader, or even a woman who chooses to raise a child on her own. That was the final objection the censors had, not Asya’s communist statement about community, but its ousting of inherent paternalism. The Soviet Union has an ironic relationship with paternalism—they went from overthrowing a tsarist patriarch, but instead of replacing him with a government of the people, it became just another patriarch, only under a different ideology. The message of the film is humanist, no doubt, but seen within the context of 1966 Soviet Russia it’s clear that the film is also a scathing critique of the promise of de-Stalinization—sure, people aren’t being murdered and thrown in jail seemingly at random anymore, but the right for an elite group to rule the people is still not questioned, and the proletariat is still left to waste with not much more than the shirts on their back. A serious criticism of Rublev by the censors was actually the same as Konchalovsky’s, they were confused by the films poetic breaks (which later became staples of Tarkovsky’s aesthetics). Asya’s Happiness, arguably had the opposite problem, while still being aesthetically inventive. 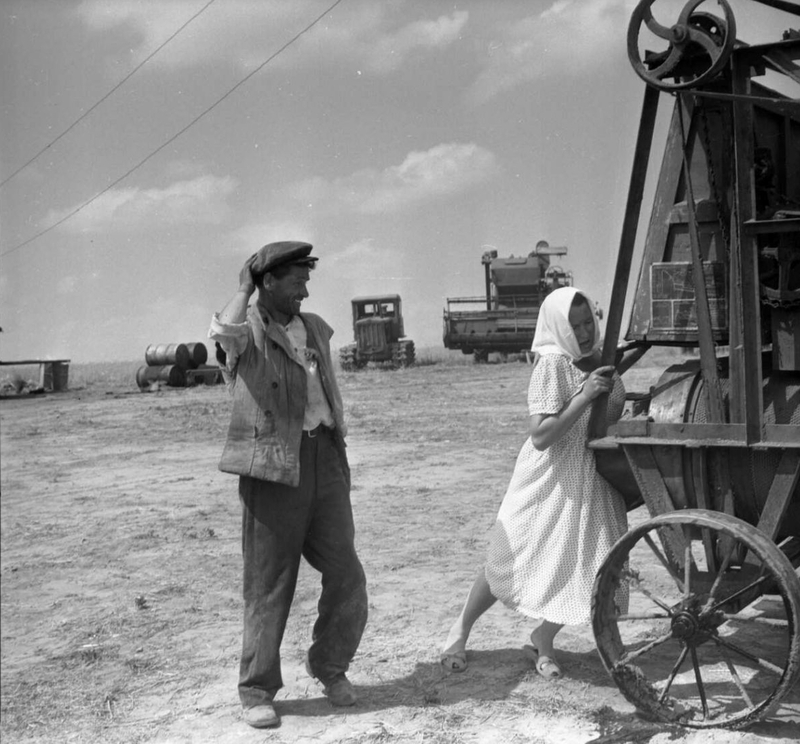 Konchalovsky lets scenes unfold in front of the camera, encouraging improvisation within its movements. Dialogue scenes will play out with multiple cameras filming all the players, gathering their real-time reactions and responses. While contemporaries may have claimed to capture instead of creating, Konchalovsky is doing it in ways more real than Flaherty. The film employed only three professional actors, the rest of the cast were the real farmers in the real village—as they play versions of themselves, we get to know their true experiences. Konchalovsky’s camera will glide along the horizon in outdoor scenes, gently floating from character to character as they go about their work, sometimes tightening in when he finds a conversation or anecdote of interest. This quiet styling allowed the censors to have a very clear idea of the picture Konchalovsky was painting, one which they did not like, but also failed to garner international interest while Westerners were focused on the more bombastic Rublev and Sergei Bondarchuk’s War and Peace (1966-7). Nothing in the production of Asya’s Happiness drew in eyes, it would have to get seen to get attention. By the time that Tarkovsky was in production on Rublev, he had already won the Golden Lion at Venice for his first feature Ivan’s Childhood (1962), and the production and controversy around Rublev had become the stuff of legend in the West. Even though it only had one screening at Cannes in 1969, it still won the FIPRESCI prize, further cementing Tarkovsky’s place as the voice of his generation of Soviet filmmakers. This international attention also helped protect Tarkovsky’s artistic integrity from the censors. Although both him and Konchalovsky would emigrate out of the USSR in the 1980s, Tarkovsky enjoyed much more creative freedom than his counterpart, who ceased his more documentarists films in favour of safe literary adaptations and genre pictures.